A new mathematical model reveals that gender parity is not inevitable in all fields and external intervention may be needed to achieve gender balance in fields such as engineering and nursing. 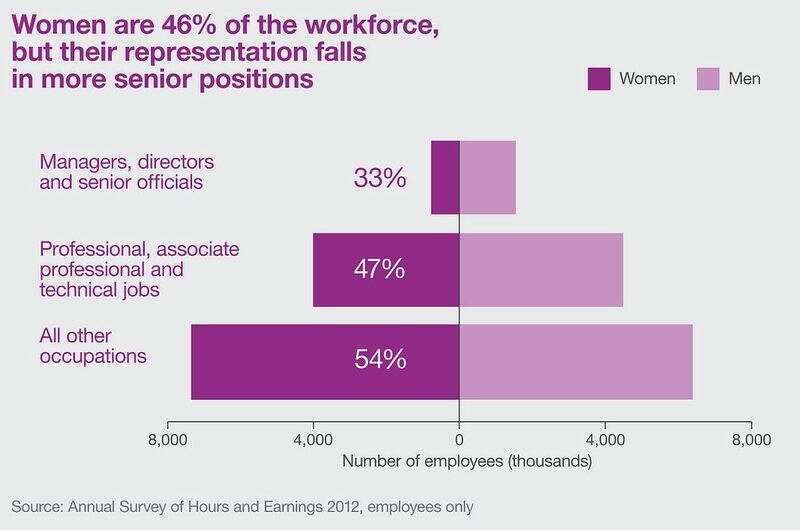 WASHINGTON, D.C., April 1, 2019 — Women constitute approximately 47 percent of the workforce yet they are still underrepresented at the highest levels of business, government, medical and academic hierarchies. Many explanations have been proposed to explain this so-called leaky pipeline effect including family responsibilities, biological differences and unconscious bias in the workplace. A team of researchers led by Sara Clifton from the University of Illinois at Urbana-Champaign has developed a new mathematical model to study the ascension of women through professional hierarchies, described in the journal Chaos, from AIP Publishing. The model factors in the relative roles of bias and homophily (the tendency of people to seek others similar to themselves) in various fields. Unlike prior work, their new model predicts that gender parity is not inevitable and deliberate intervention may be required in various fields to achieve gender balance. The researchers found that fields with particularly strong homophily such as engineering or nursing are expected to become male- or female-dominated. Fields with apparently strong bias against women, such as academic chemistry, math or computer science, may never reach gender parity at the highest levels of leadership without outside intervention. These findings could help target resources to these fields where gender parity is not inevitable. “If you can identify what the main bottlenecks are, you can target those bottlenecks to reach gender parity,” said Clifton. For instance, in fields with a strong bias against women, hiring committees could be trained in unconscious bias, or policies could mandate that the number of promotions offered to women match the applicant pool. For fields with strong homophily, hiring committees could actively recruit women to apply for promotion or make the underrepresented gender more visible within the field. Chaos is devoted to increasing the understanding of nonlinear phenomena in all disciplines and describing their manifestations in a manner comprehensible to researchers from a broad spectrum of disciplines.